Their names, for the most part, are unknown. But we know a bit about what they've been up to. In early May about 100 well-heeled progressive donors from around the country assembled in a luxury resort on the outskirts of Austin, Texas, for a 21st century version of the smoke-filled room (i.e., the smoke-free room). The occasion was the second meeting of the Democracy Alliance, a group of millionaires—including George Soros and insurance magnate Peter Lewis—who've pledged to give a minimum of $200,000 a year for the next five years to progressive organizations. Also in attendance were representatives from 25 organizations seeking Alliance funding. The three-day meeting was partly a conference on the future of the progressive movement—featuring panels on America's Role in the World, 21st Century Economics and a surprise talk by Bill Clinton, who caused a stir with his testy response to a question about his wife's continued support of the Iraq occupation—and partly a meeting to decide who would be the beneficiaries of the Alliance's largesse. On the last afternoon, all of the partners met behind closed doors to make their final decisions. Since word of the Alliance first spread through progressive circles last year, it has loomed large in the imagination of many in the movement. Its tight-lipped approach to publicity has given rise to rumors, speculation and grumbling about a lack of transparency. But the Alliance's approach to long-term funding also suggests the promise of a significant change in the way the left is funded, one that many say is long overdue. In the wake of the 2004 presidential election, more and more progressive funders are coalescing around what might be called the Infrastructure First theory of progressive revival. Originally pioneered by former Clinton Treasury official and Democracy Alliance founder Rob Stein, and now advocated by everyone from DNC chair Howard Dean to SEIU President Andy Stern, the theory goes something like this: The single most important factor in the right's political dominance over the last several decades is its superior infrastructure—a network of well-funded, tightly coordinated advocacy organizations, grassroots groups, think tanks and media platforms that are capable of mobilizing the base, drawing in new converts, moving the national political debate and exerting astounding influence on elected politicians. In a somewhat legendary PowerPoint presentation, Stein documents the way this conservative infrastructure was built, who funded it and how it works. The Democracy Alliance's mission is to help build a countervailing force on the left, what is cheekily referred to as the Vast Left Wing Conspiracy. It makes sense. Progressive activists, organizers and leaders are rarely in a position to openly criticize their funders. (That includes In These Times—here's hoping that the foundation that pays my salary admires our bracing honesty.) And funders find themselves so besieged by requests for money (not to mention right-wing invective, as Soros can tell you), there's a tendency to fly beneath the radar. But if the progressive movement is going to build an infrastructure to rival the right, it has to examine and undo the numerous dysfunctions that stem from the way it is currently funded. In order to do that, it must initiate a public debate, no matter how awkward such a discussion might be. It might seem churlish to criticize foundations and donors that are giving away hundreds of millions of dollars, but it's the people writing the checks that tend to make the rules and nearly everyone now agrees those rules need to change. In more than three dozen interviews, I tried to suss out what the major criticisms of the existing funding mechanisms were and what new models were being set up to address the problems that funders, organizers, academics and observers had identified. I found, much to my surprise, a shocking degree of consensus about what's broken and how to fix it. So here, then, are the five heresies held by the new funding consensus. A program director at one major foundation that funds a wide variety of progressive groups agreed with Faber. “I can't think of any topic we work on domestically where we feel like we want to build a movement,” she said. Things are quite different on the right. Partly because conservatives felt shut out of major foundation funding, a network of conservative family foundations grew up in the '60s to fund the nascent movement. And unlike their mainstream counterparts, the Olin, Scaife, Coors and Heritage foundations all proudly view themselves as funders of the conservative movement. Again, this differs from the conservative movement. A 2004 report by the National Committee For Responsive Philanthropy (NCRP) found that between 1999 and 2001 the top 79 conservative foundations gave $94.3 million in general operating support to policy and advocacy organizations against $77.5 million in program funds. In 2005, NCRP released another report which showed that the 10 best-funded conservative advocacy organizations receive 90 percent of their foundation funding in the form of general operating support. By contrast, their counterparts on the left receive just 16 percent of their foundation funding in the form of general operating support. Calls for long-term funding and more general operating support are by no means new. Indeed, nonprofit sector expert Pablo Eisenberg and members of the NCRP have been sounding this refrain for years. But the failures of 2004 have succeeded in knocking loose the status quo, even in the uber-conservative and risk-averse world of philanthropy. While Stein cautions that changing the approach is like moving an “oceanliner,” the fact that Democracy Alliance and other groups now exist and can pursue grantmaking that incorporates these critiques signifies the beginning of a sea-change. Stein says he's even found that program officers at foundations now quietly ask him to tell their bosses that they need to increase the lengths of their grant cycles. 4) Fund innovation, provide startup money. The leading voices for a more innovation-oriented, risk-seeking style of progressive investment are Andy and Deborah Rappaport. Andy Rappaport made his fortune investing in communications and technology companies and has been giving to progressive organizations for years. In 2004, the Rappaports started a donor circle called Band of Progressives, modeled after the Band of Angels, a group of fellow Silicon Valley investors who would meet regularly to evaluate start-ups. The couple gained a reputation for giving generously to a variety of non-traditional organizations like Music for America, which sought to mobilize young voters through organizing concerts. The venture capital model drew lots of converts and last year, the Rappaports set up a new organization called the New Progressive Coalition. NPC functions as a virtual marketplace of progressive giving, connecting organizations seeking money with those with money to give. Its Web site features MySpace-like profiles of different member groups (including In These Times) that investors can browse. The approach and vocabulary is frankly entrepreneurial: There are no donors, only “investors,” staff members talk about measuring the “political return on investment” and setting up “portfolios” of organizations that investors can manage like a mutual fund. The idea is that by opening up the funding process to a free-market approach NPC can avoid the conservatism that tends to prevail. “The political capital market is broken,” says NPC's Investor Services Director Catalina Ruiz-Healy. “We're trying to fix it. The way politics has traditionally worked, there hasn't been much transparency, analysis or accountability. It's more someone told you to give to this or your friend is doing that.” Those are valid data points, she says, but you would never use them to decide how to make financial investments. Self-funded movements were once the norm on the left as well. The labor movement is funded almost entirely through union dues, and the early Civil Rights movement, though it received key support from small, progressive family foundations, was bankrolled overwhelmingly by African-American business people and congregants in black churches. But in the '60s and '70s, progressive organizations outside civil rights and labor came to rely heavily on foundation support. At the same time, conservative mastermind Richard Viguerie pioneered direct mail, a method of mail solicitation that proved enormously successful and helped capture an entire generation of Republican and conservative small donors. The great hope for progressive organizations is that the Internet can be for the left what direct mail has been for the right. Traditionally small donor cultivation has been relatively expensive, meaning that the largest organizations are best equipped to pursue it. The Internet changes that calculus significantly, providing a means of reaching thousands of potential donors and processing donations with an incredibly low overhead. But it's unclear whether Internet giving will simply make small donor fundraising less expensive and more efficient, or whether it has the ability to expand the universe of people who are willing to give money. It's almost too obvious a point to articulate, but it bears repetition nonetheless: The arithmetic of fundraising is not the simple arithmetic of democracy. There is no one person, one vote. American hyper-capitalism creates winners and losers, people who can write $20 checks and people who can write $2 million checks. Even if the Internet provides a platform for massive small donor giving, large donors are still going to play a disproportionately large role in funding the progressive movement. 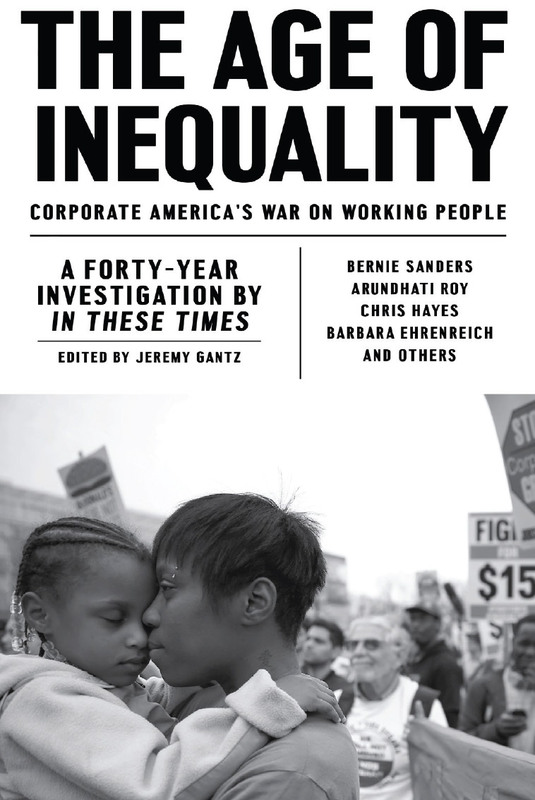 But the specter of a progressive movement funded largely by wealthy individuals, or even members of the comfortable upper middle class, raises some thorny issues, ones that hover over the technical and strategic critiques outlined above. If there's one answer to the question of how best to fund the left, then, it's this: Raise as much money from as many sources as possible. For the last 36 years, ACORN has managed to win crucial victories in states and localities around the country. It's survived and even thrived during a time of conservative ascendancy, growing its staff and operations and spearheading minimum wage campaigns and organizing drives. I've grappled with the meaning of 'Left' for some time. Since most parties move rightward over time, I guess we need to be aware of that. It's hard enough to stay focussed when various groups get creative with language, so that progressive can mean regressive, etc.. This is why media, such as In These Times, is powerful, a fact that we need to appreciate. Therefore, I won't argue with those who want to call In These Times (which I've read, on and off, for many years now) a progressive journal. And I won't argue with it's idea of what 'progressive' means. I'll just say that I might have no use for ITT's progress, even if I appreciate the informational value which that outfit presents. I've been a follower of 'alternative' media for many years. I gave up on the The Nation long ago. It, like ITT, is bookmarked in my 'media > favorites' area, but not because I'm a beliver. Republicrats (Republicans & Democrats) aren't going to fix the problems they've created and their boosters aren't fooling me. The same goes for my country's Coniberals (Conservatives & Liberals). Our New Democratic Party has really gone down the toilet - to the point now where our rightwing Green Party wants to ditch NAFTA while the NDP is happy with it and with the imperialistic direction of Canadian foreign policy generally. Witness their jello stand on Canada's participation in the overthrow of the Aristide government in Haiti. They squeaked a little and then shut up. I'm encouraged to comment by the comments of the other posters, which give me more hope than the article which we are responding to. Humans can't fix this mess. The folks who are here wringing their hands over their political infrastructure problems aren't going to do a thing for the poor and vulnerable in society. Of that I'm certain. Someone commented on identity politics vs discussions about economics. It really is simple, Isn't it? I express it this way: You have horizontal - shallow, not as important as other issues - vision, which is promoted by the establishment and our capitalist political classes (minus I suppose fringe parties like the communist and socialist parties), which they promote by seeming to possess that vision themselves. But it's a big game they play. Jean Chretien's effort to save the country via marketing benefitted Liberal-connected ad companies etc and led to an inquiry here on the millions that were stolen from taxpayers. I think we needed to lose Quebec long ago, for reasons like the above. The Quebec independence issue continues to prevent Canadian progress, and that's fine with capitalists who don't want to deal with the social deficits they create regularly. Let's talk about poverty in Canada and 'do something' about it. Amazingly, The corporate-owned media here 'is' talking, regularly, about poverty in Canada. But absolutely nothing gets done about it. That's because those with power don't have to do anything they don't want to do. We have a laissez faire society, unfortunately. And we do not have properly representative politics. If you aren't wealthy and connected and an owner of capital, don't expect your concerns to be acted on, if they're heard. Then you have vertical vision - not shallow but looking at important matters and not just matters that are important to a few - which plain speaking, mostly thoughtful but powerless players, promote by setting their own honest example of simply refusing to talk nonsense just because those with more power and privilege choose to. I don't care whether I wave the Canadian flag (I'm Canadian) or the American flag, for example, as long as my standard of living doesn't go down once capitalists get their way. The harmonization of standards is in the direction of downward. Capitalists are always seeking cost cutting. That's why they want North American integration. And they have the political classes as partners in their project to do uber capitalism, which just creates social deficits and shrinks the middle class and expands poverty, since in their view benefits (good wages, job security, workplace health & safety regs etc) to workers are a cost rather than an investment, not to mention other benefits such as government regulations (oversight of water, air etc) generally. Our continentalist leaders, despite fine sounding patriotic language and trips to the Arctic in an effort (ostensibly) to see how Canadian sovereignty can be protected, are on board with the capitalist class's project of American/ Canadian integration. I recently asked a young fellow who I met (a fellow security officer at the recent AIDS convention in Toronto) whether he cared if Canada remained Canada rather than get swallowed up by the US. His answer is typical, and a product of propaganda and horizontal vision projected by the establishment and it's media. He said he didn't want that because he wants Canada to retain it's uniqueness. But he didn't offer me any thoughts on what he meant by that. Our health care system? Don't get misty eyed about that. The CMA - Canadian Medical Association - recently elected as it's chief a fellow who doesn't even believe in our single payer system. But I've been trying to tell people for years that it's unrealistic to expect that a large scale socialistic program like our health care system should survive within the neoliberal capitalist system we have. You can't have both, and our powerful and privileged elites have no interest in dismantling the system that provides them with their 'freedom' just so we can preserve and strengthen our socialistic Medicare. Capitalism is, in fact, just another religion. And it also happens to be one that is very successful and subscribed to by most of the planet, including it's 'Left'. If folks don't want lose socialistic programs and solutions that they believe in, then they should start talking, not about how to fix a Left that agrees with the Right on fundamentals, but capitalism itself. You don't see the word in the media much, Do you? Out of sight, out of mind. I told that young fellow that culture is fine and important. But the priority, in my view, should be 'Do I eat or don't I?' I didn't have the time to tell him that I hardly see any difference between Canadians and Americans anyway, or I would have. A QUIOTE FROM THIS ARTICLE: "Foundations like Ford, which funds hundreds of very progressive groups," Yes, Ford Foundation and its ilk have funded the American Left for decades. And the American Left has become what the Ford Foundation, et al., wants. And what sorts of "progressive groups" have these huge nonprofits funded? IDENTITY POLITICS! That is what these foundations fund! 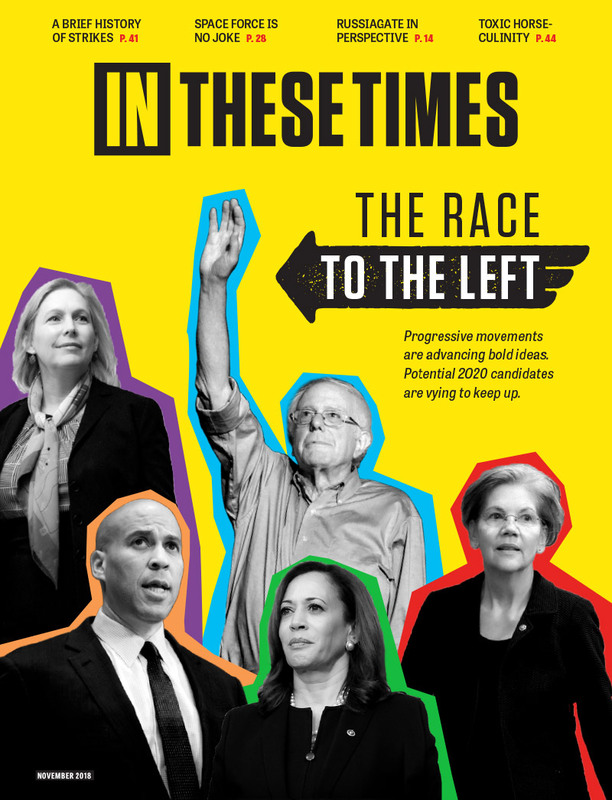 They have funded a generation of pseudoLeft "progressive" activism that has shifted the focus of the American Left from economics to race and gender oriented activism. And now we see the results of what this PseudoLeft hath wrought! Our progressive tax base is in a shambles! We are the only western nation without single payer healthcare. Our labor market is flooded mass immigration of aliens driving down our wages. The plutocrats and megacorporations set up these large nonprofit foundations like Ford in order to divert American Leftism from economics. That way the rich can keep their money by leeping the American Left focused on race and gender politics. Read Joan Roelofs book MASK OF PLURALISM for more on this. And PseudoLeft outfits like IN THESE TIMES, PBS, NPR, Alternet, etc are the fruit of the years of propaganda created by PseudoLeft media organs.